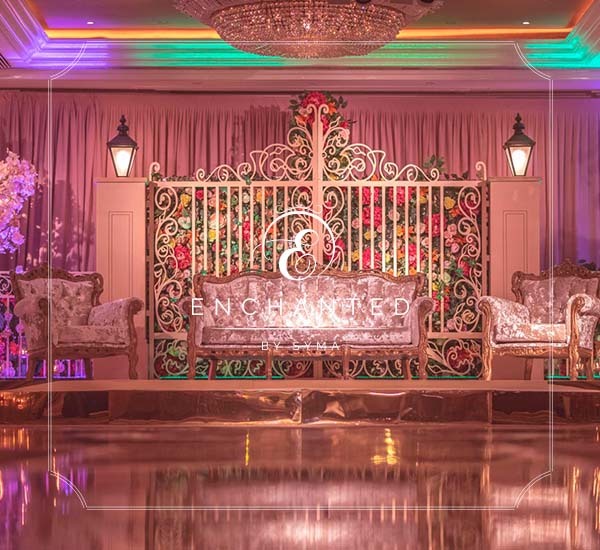 Take a tour into our world by witnessing some of the finest bespoke stage designs, which we have created for a number of weddings. There is not really any feeling as great as satisfaction, when you complete an event and achieve the end result! 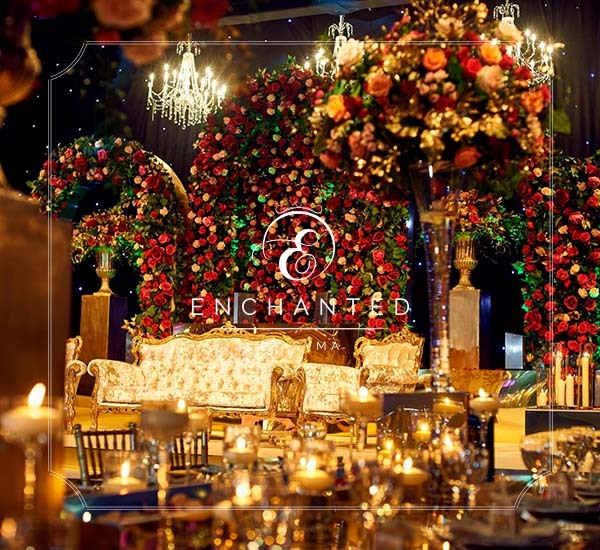 When planning a wedding you want everything to be perfect... that's why I chose to put my trust into 'enchanted'. I knew I made the right decision from the start. 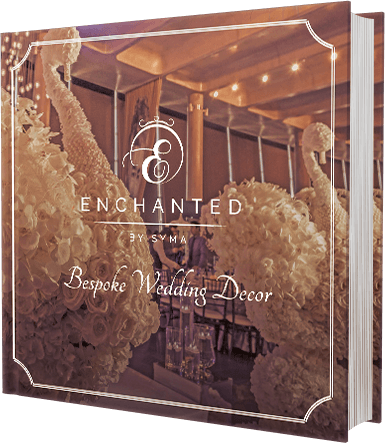 Enchanted created a personalised package for me, which looked amazing on the day. 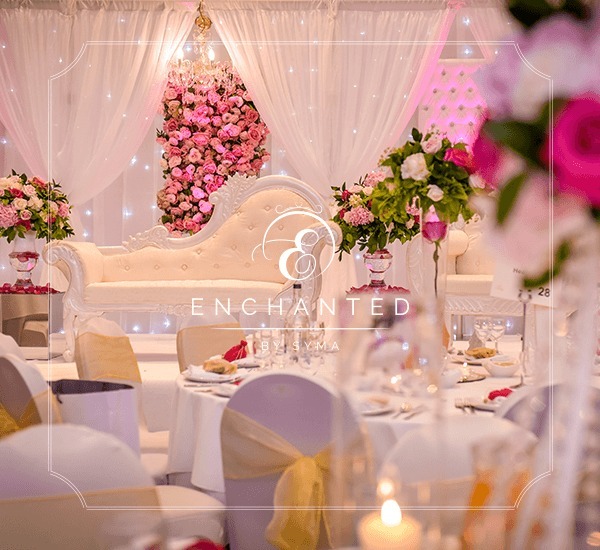 I will defiantly be using 'Enchanted' again for other events. 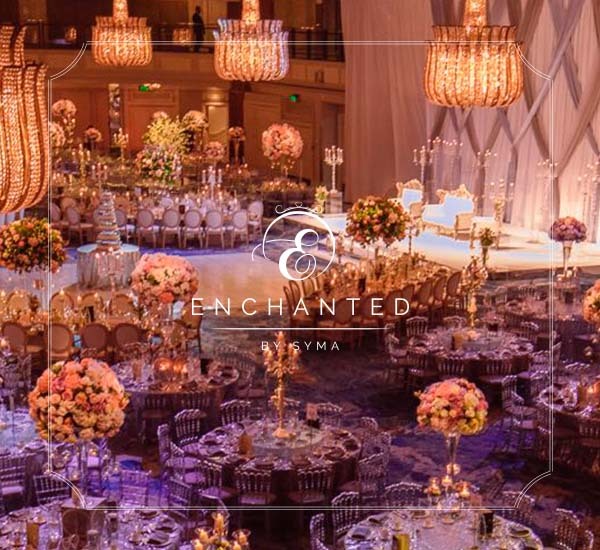 We came to Enchanted with a fairly good idea of what we wanted for our theme. Syma understood our ideas and with her creativity and her personal approach she gave us the confidence in her to make our vision come to life! 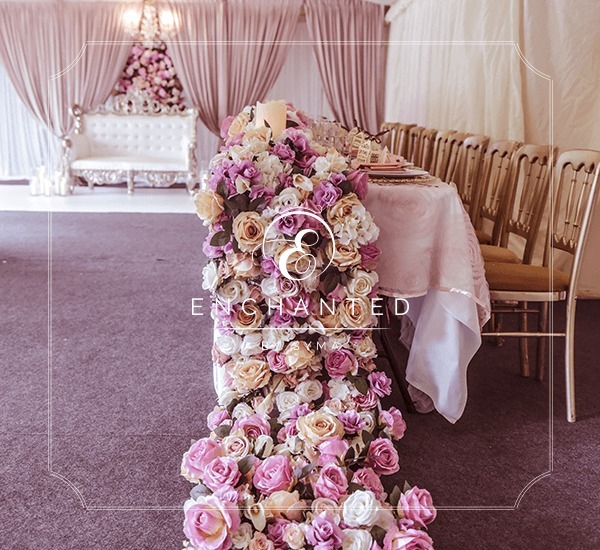 The attention to detail is second to none and guests still comment at how beautiful the decor was at the wedding. Thank you once again to Syma and her team. 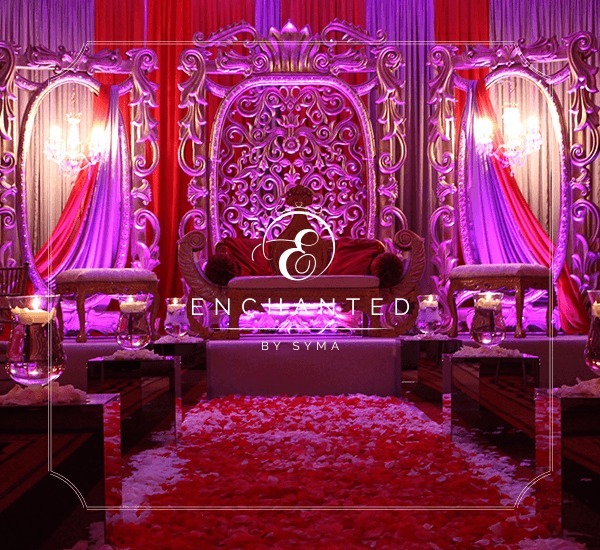 Enchanted did a fabulous job at my Mendhi and wedding reception. They catered to my needs and provided the best possible options. It was a stress free experience as they are extremely professional and deliver what is promised. I highly recommend them, in fact my extended family members have used them since. Syma did an amazing job for my wedding day! 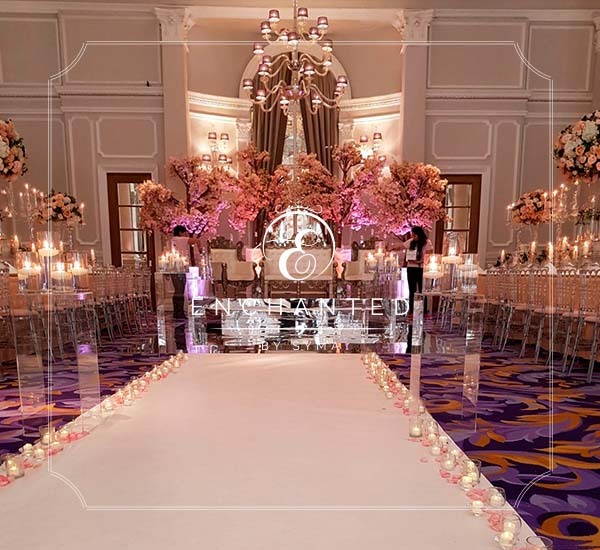 I am so glad I chose her to do the decor for my wedding - it was honesty the best decision I made for the wedding. She transformed our wedding venue and it looked like a fairy tale! She gives in 120% and what's more is the relationship she builds with her clients. I would not hesitate to recommend her. 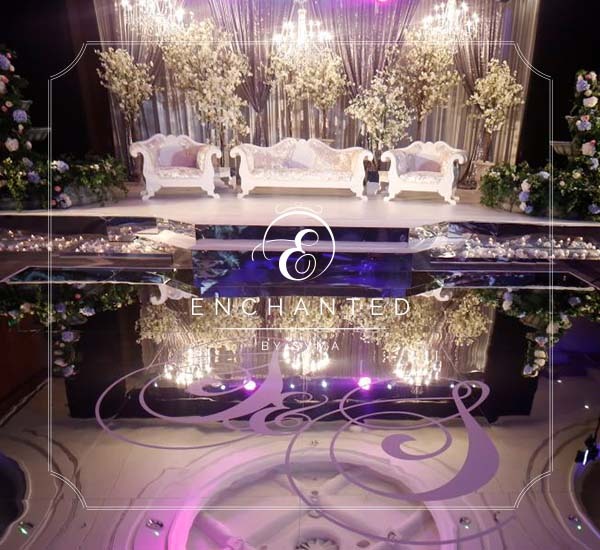 Choose Syma for your wedding decor and you will not be disappointed!